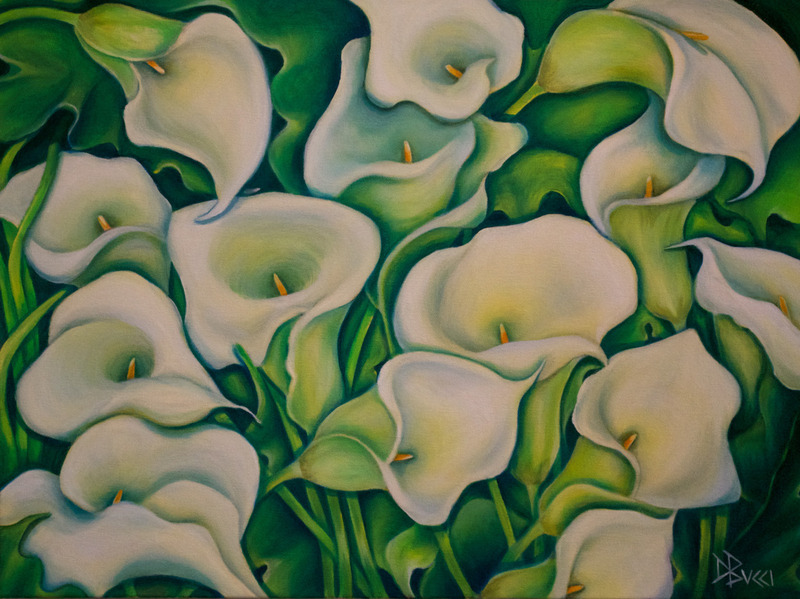 18"x24" Oil on Canvas Deb's thoughts: Join the lilies for some dancing in the sun. Each lily is positioned to create a continuous line that carries the viewers eye all around the painting. The movement and attention to the space between the flowers work together to add the energy. These flowers are normally thought of as sophisticated and elegant but we all have to take off our shoes and play in the sun.